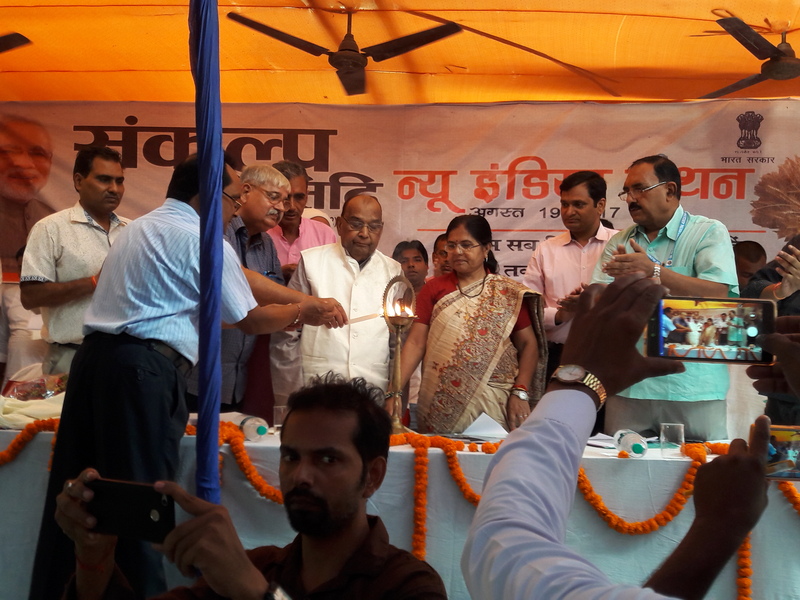 Hon'ble MP of Begusarai, Dr. Bhola Singh was the chief guest, Smt. Kumari Manju Verma, Social and Welfare minister Govt. 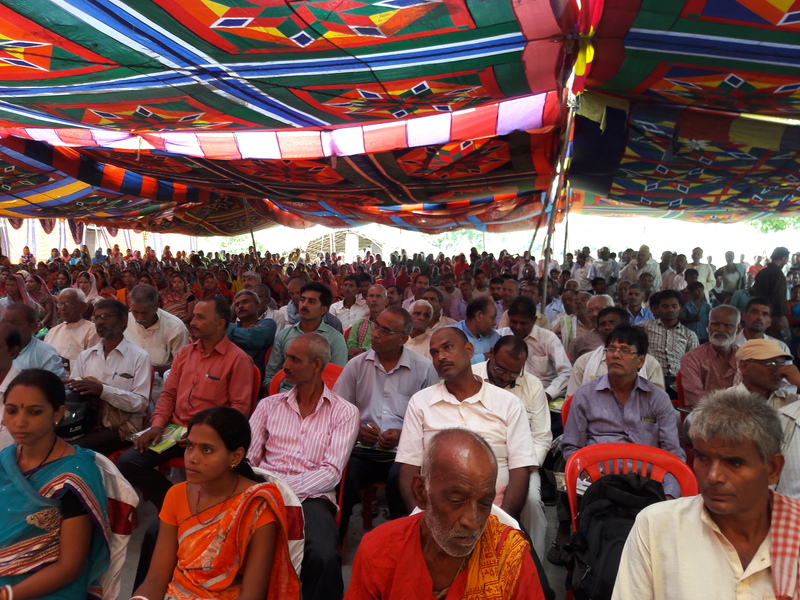 of Bihar, Director Extension Education, Dr. RPCAU, Pusa, public representatives like member of Zila Parishad, Block Pramukh, Mukhiya, & Government officials like SDM, DAO, PD ATMA, Assistant Director Horticulture, BAO, Agriculture Coordinator, ATM, BTM, representatives from JEEVIKA and more than 800 hundred farmers and farm women were present in this programme. 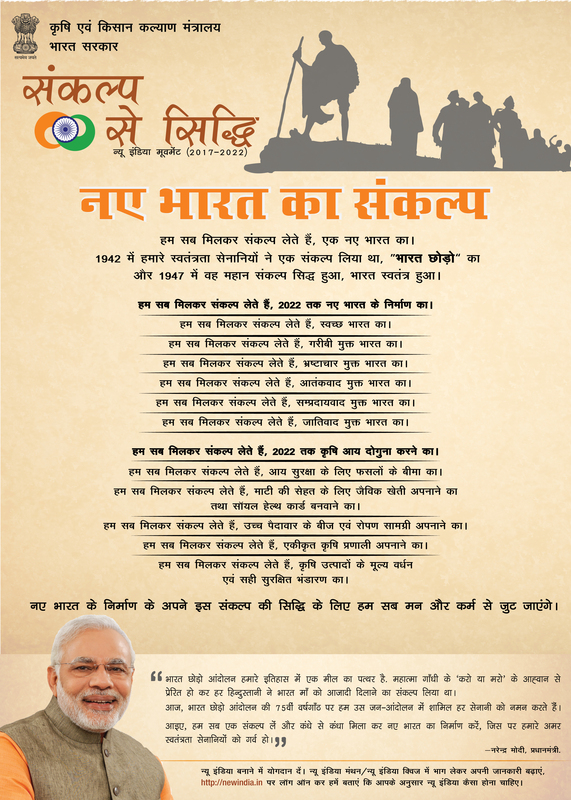 Programme was started lightening of land by Chief guest and dignitaries than massage of Hon'ble PM (Video clipping), pledge, talk of expert, address of the special guest and chief guest etc.